Automatic leveling systems have come a long way to the point where even some travel trailers have seven-point automatic leveling systems such Keystone’s Outback brand. 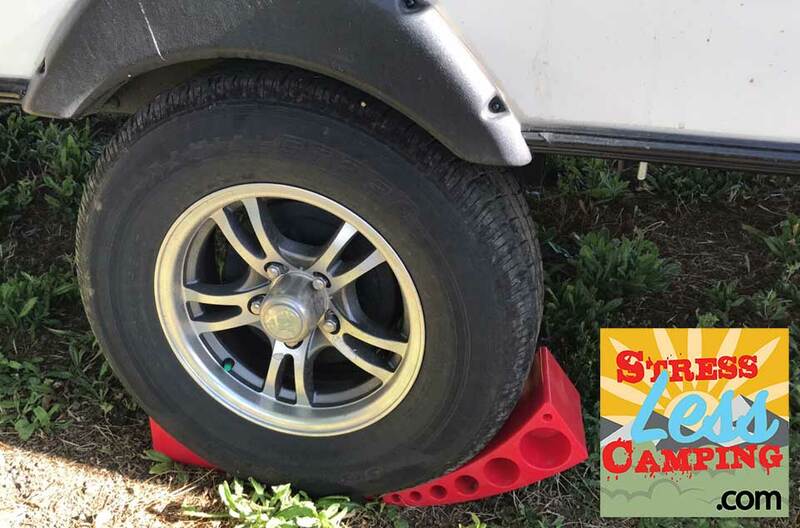 However you can save many thousands of dollars and simplify your RV experience with a set of Anderson leveling wedges instead. I really like to write about products I’ve found that I use regularly on the road and the Anderson levelers are one of those products. Effectively they’re just a curved plastic wedge device but, in practice, they really make setting up camp a simple affair. 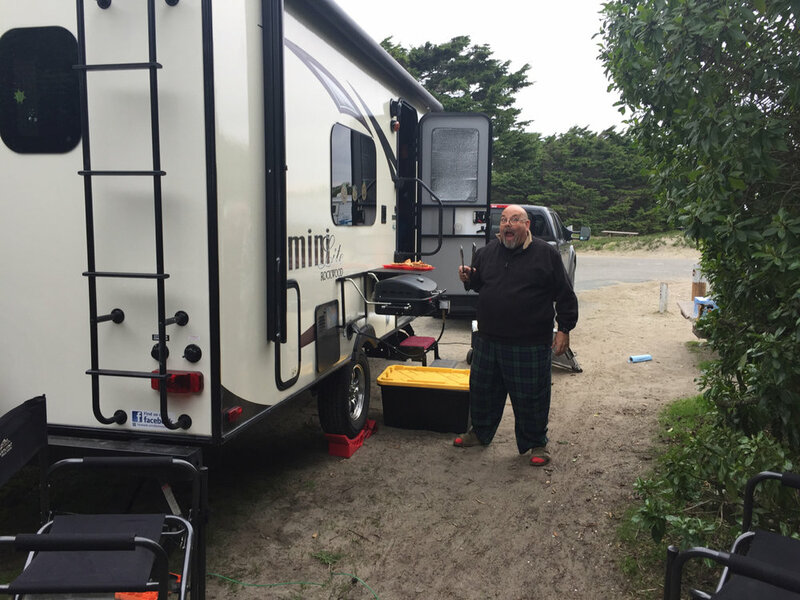 Last year I was on a business-related camping trip where I had to set Curby, our 19’ Rockwood Mini Lite travel trailer, up in a windy, rainy and miserable condition and the camp site I was assigned was about as on the level as a politician on the campaign trail. Fortunately I had my Anderson level with me and I had previously applied bubble level gauges to the front and side of my travel trailer. The Anderson levels come in two pieces - the main wedge and a second wedge as a stabilizer. Basically, I just backed the trailer onto the Anderson wedge until the bubble level indicated that I was level side-to-side. Simple. From that point on you use the trailer’s tongue jack to level it front to back and then set your stabilizer jacks. Unless you’re moving slowly you can have camp ready in just a few minutes with this methodology. It’s pretty great. The Anderson wedges are relatively foolproof, starting about 1/2” thick on one end and going up to 4” thick on the other. Only once have I come across a paid campsite that was so off level that I wasn’t sure that it was going to work. The wedges come with two pieces, the actual wedge that you drive onto as well as a smaller wedge that you use to lock the larger wedge in place. If you happen to have a two-axle trailer you’re going to have to get two sets of these and there is a package that includes all four of these pieces. I’m a huge fan of simple things that my brain can understand and a plastic wedge falls into that category. I know that multi-point automatic leveling systems are becoming more widespread in their availability but I just love solutions that don’t involve a lot of mechanical wizardry to make them work. 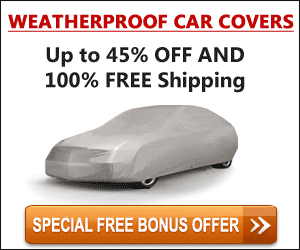 But I’d prefer plain old crank windows in my pickup, which are impossible to find. While my trailer only has a single axle, most have two and there have been more than a few people who have complained that the Anderson wedges don’t fit well between the two wheels of two-axle trailers. While Anderson says that you can cut the tip off one of the levels to make their product fit better, Camco manufacturing has come out with a level that is similar to the Anderson product that will fit well in two-axle trailers. Camco’s solution has a rubber surface on one side to avoid slipping and, I’m told, their product works really well. Either way these simple wedges can make a big difference when you’re setting up camp and want to get to those beers in the fridge or those fish in the stream. Another thing I like about the Anderson version of these is that you can set them on their side and put your tongue jack into them (something about that sentence just seems naughty) so they seems to have multiple uses. Either way, these wedges are a part of what makes for StressLess Camping.